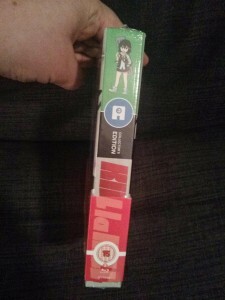 At long last, I now own the actual show that I’ve been buying all these rad toys from! 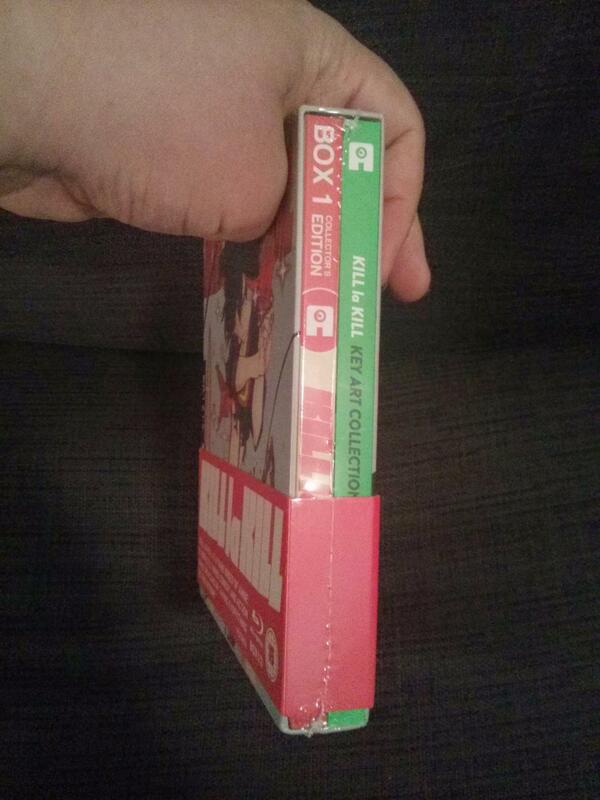 Or at least I own a third of it, since apparently we live in mysterious dark ages where selling a whole show in one box is a crime against nature, according to Aniplex. 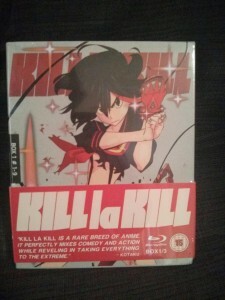 Oh well, at least this UK release (from Anime Limited) is only over 3 parts instead of 5 (like the US and Australian releases). Anyway, I’ve got Part 1. Let’s take a look. 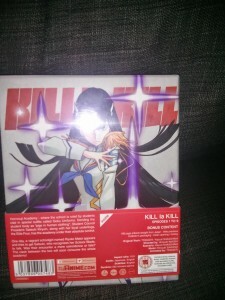 Anime Limited is doing the boxes with this bellyband or obi strip or whatever you want to call it, so that all the technical details, ratings, barcodes etc are removable and the artwork underneath is clean. Madman used to do this with their boxes, but stopped for some reason, infuriating everyone. Less of an issue in the US due to no requirements to have ratings logos, although it seems to be a popular practice in Japan, in particular with audio CDs. 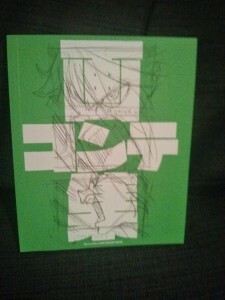 Anyway, it means the box has clean art underneath. 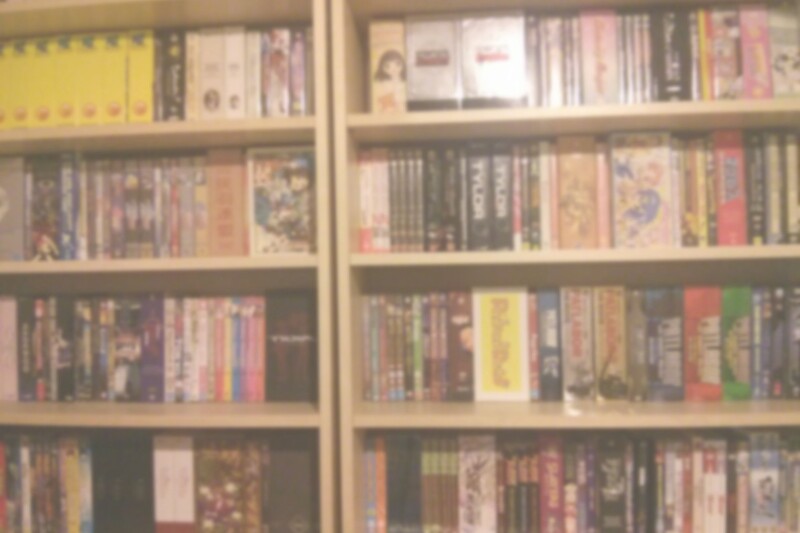 Gotta love them spines (yes I am weird). 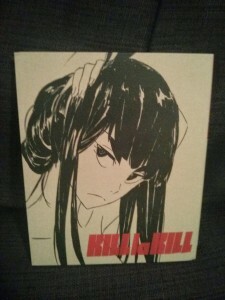 On the front, we have Ryuko, and on the back, we have Satsuki. Endless arguments abound about who is “best girl”. Open it all up and you basically get the picture I stuck at the top of this post. 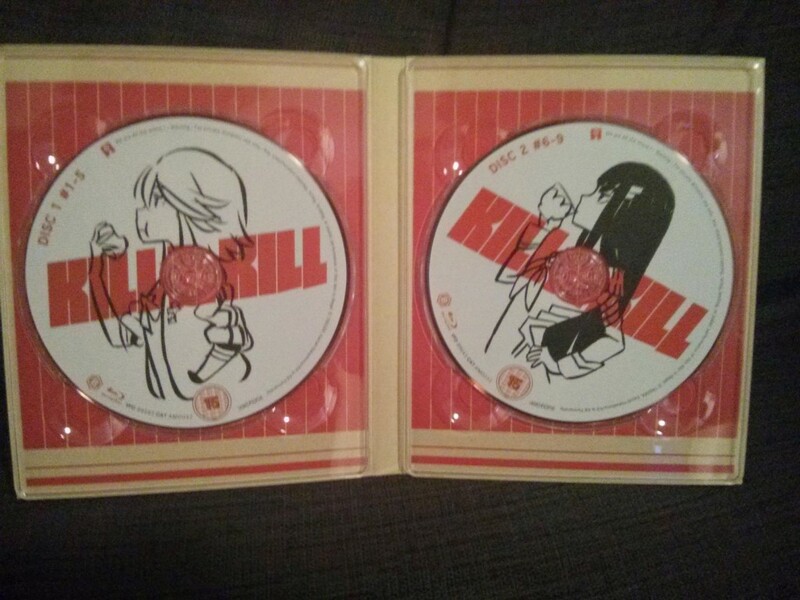 There’s a disc case and an art book. 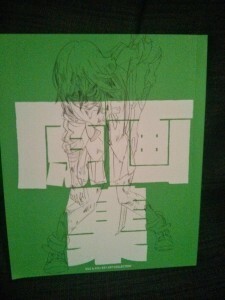 The case has this cool sort of line art on it. 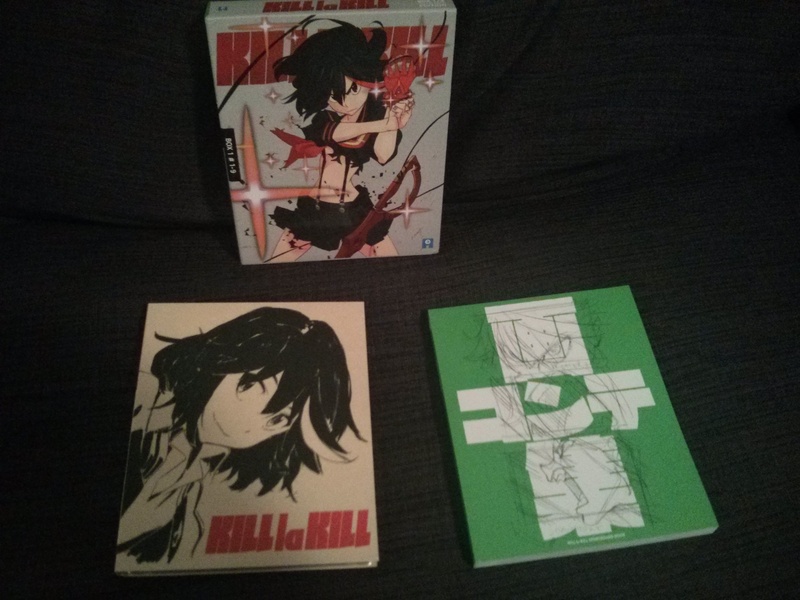 Ryuko on one side and Satsuki on the other. Notice a pattern? The discs themselves. Fun fact: the episode numbers on this are incorrect, disc 1 actually has episodes 1-4, and disc 2 has episodes 5-9. 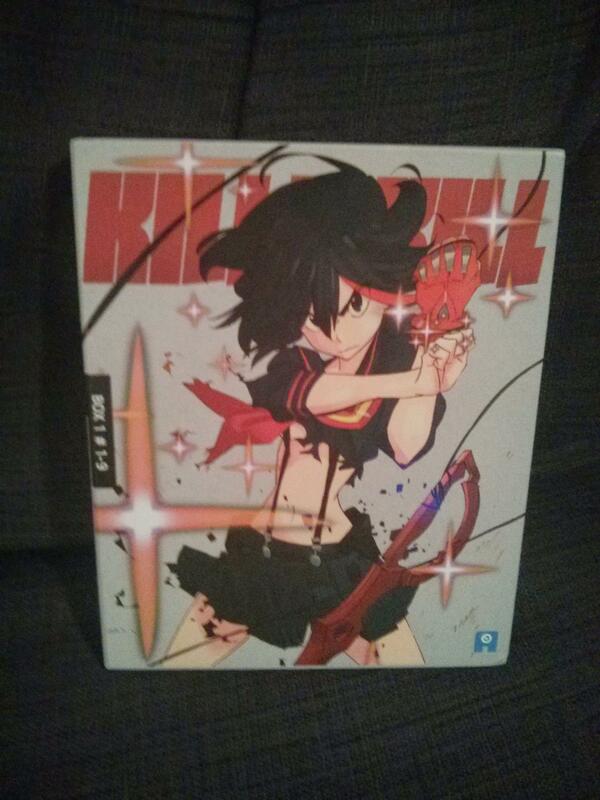 Perfection in anime releases is apparently an unattainable goal, or maybe I’m a pedant. Or both. And the characters on the discs seem to follow the same pattern as everything else. 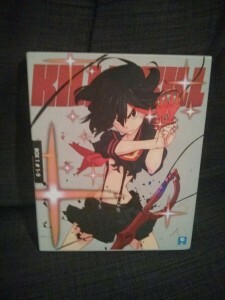 I watched episode 1 with the English dub, and it’s actually pretty good. Like most of the voices sound decent, and they seem to do a better job pronouncing the names than I do. 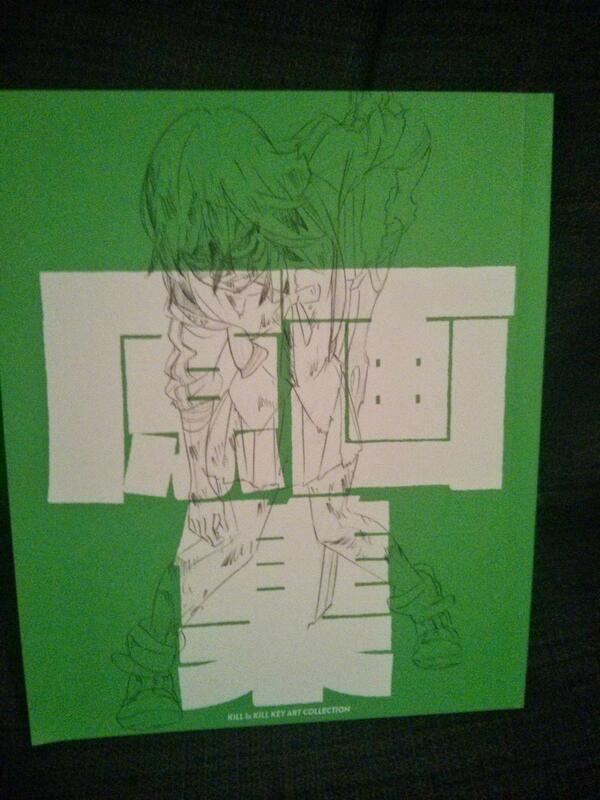 Also it’s not too stilted, which is the one thing that really kills a dub. I’ll probably watch the whole thing dubbed, since I already saw it subbed when it aired. One interesting/odd thing about this disc: the many occurrences of on-screen text are actually hardsubbed (i.e. the translation is encoded into the video instead of on the subtitle track). This is kind of a frowned-upon practice with English anime releases, but I guess it was done to allow for flexibility in font and timing… and considering I’m pretty sure audio/sub selections are locked down anyway you’d be dealing with forced subs anyway, it’s just this way they look a bit less garbage than they sometimes do. Side note: blu-ray subtitles are apparently really hard so I understand the logic behind this move. But hey, controversy. Anyway, those are the discs, let’s look at the book. 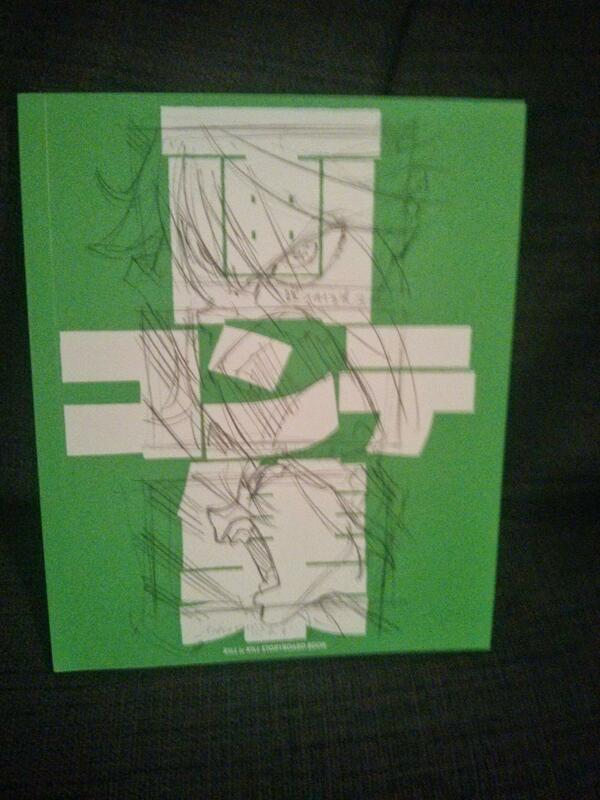 The book is something we don’t really get often with English-language releases… basically it’s a ton of storyboards and keyframe animation sequences. There doesn’t seem to be any text content as such. Let’s look inside. 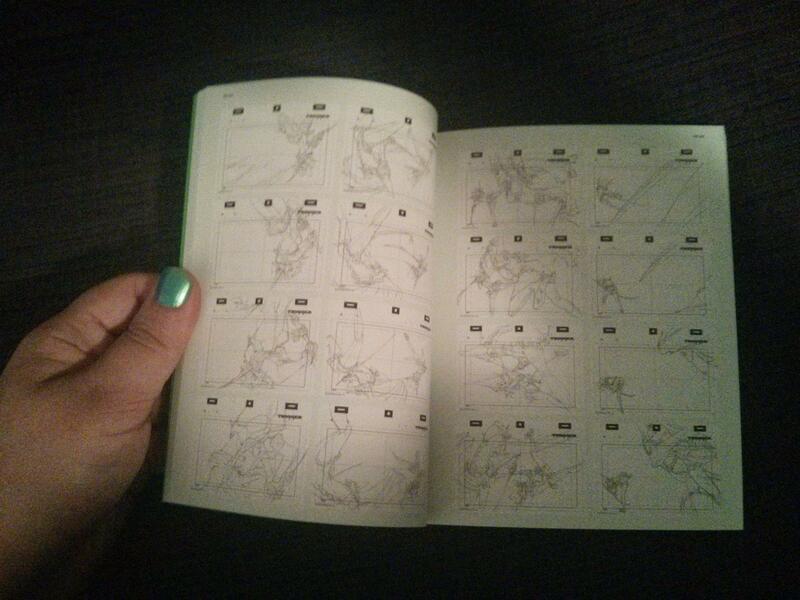 Look, sequences of keyframe animation! And of course there’s pages that are embarrassing and bring shame upon my family. 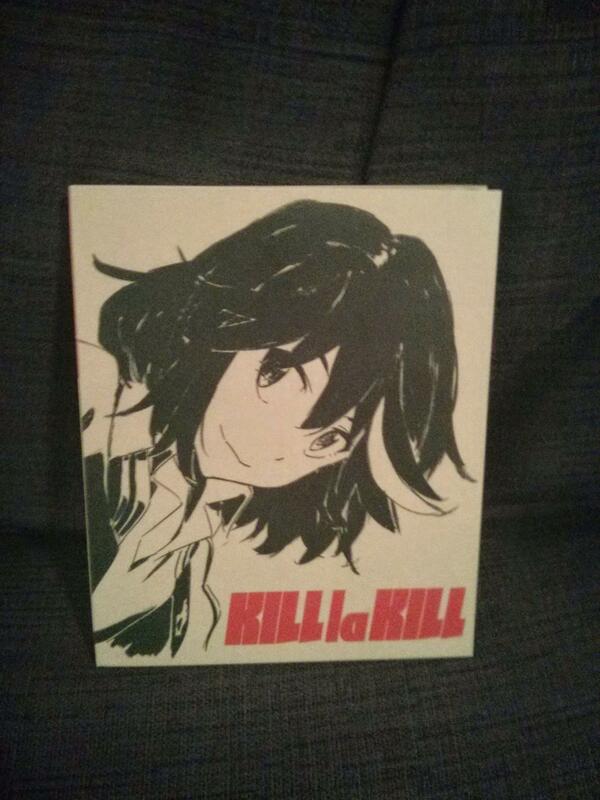 Interesting thing about the book is that it’s basically the one extra from the Japanese release that didn’t make it into Aniplex USA’s release… which did get a whole bunch of extras like soundtracks and making-of bonuses that aren’t on Anime Limited’s UK release. Kinda weird how that worked out. And since I feel like expending effort, let’s check in with Website-tan for her take on this release. 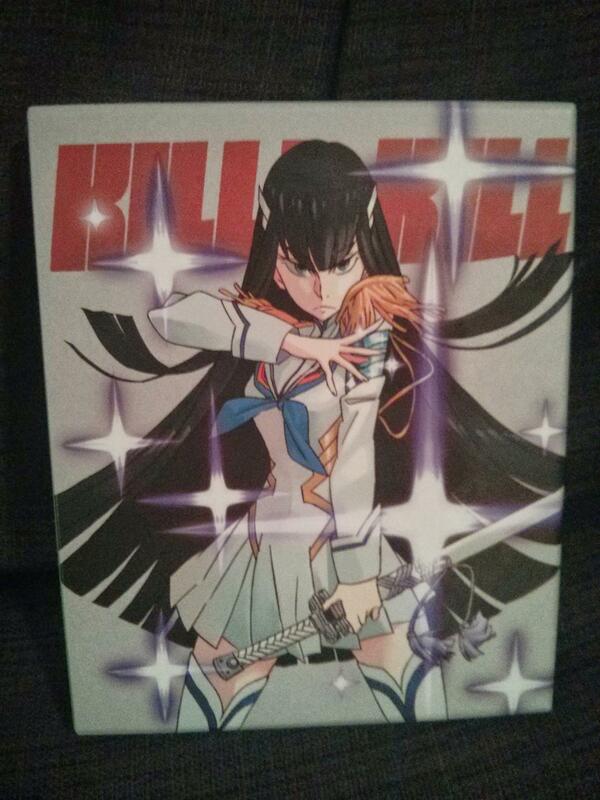 Because I’m sure you trust a cel-shaded CGI anime girl more than yours truly (for some reason). But yeah, this release is pretty sweet. I’m kinda excited about eventually having all three parts, since Anime Limited has hinted at maybe having a box to hold all three. I do kinda like boxes. Although this is kinda already in a box, so that’d be like a box within a box. I like boxes, too. Oh, wait, only for blu-rays. Slip cases for books make me want to murder ALL THE CUPCAKES. That’s why I’m fat. Also, I hope mine arrives tomorrow. Your family aren’t ashamed. They keep telling everyone. But you should be ashamed. Deep down in your heart. But this particular box has both blu-rays AND a book in it… do you feel conflicted? 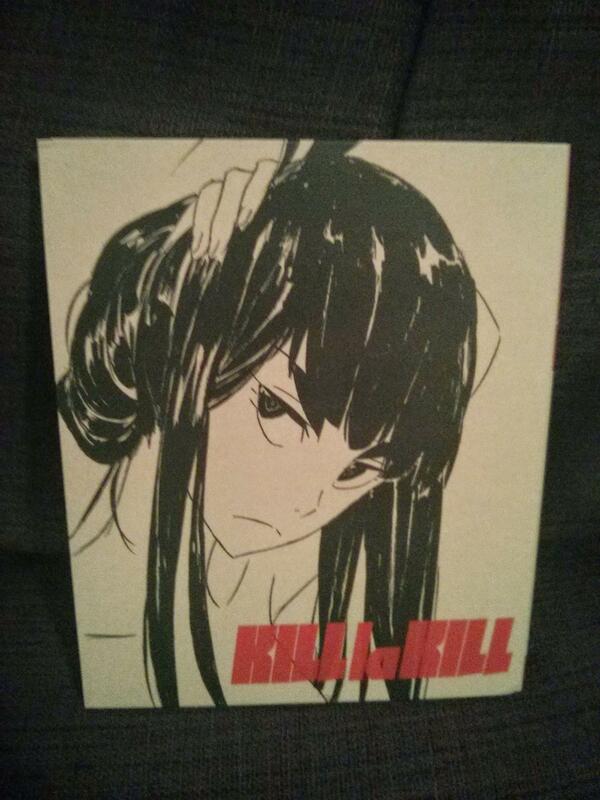 Still no KLK in my mailbox. Hopefully tomoz.